This week at Sunny Challenges and Creations, the brief was a simple one, to create a male card. Male cards for me are hard to create, but the task has been made so much easier because of some of the beautiful male orientated stamp sets and backgrounds that we have in the new 2013 - 2014 catalogue. I started with a Crumb Cake base, on which I matted with Soft Suede that I had stamped using the Wood grain background stamp in the same colour. 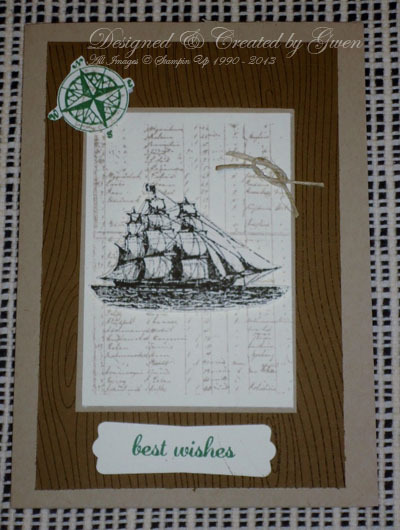 The Open Sea was my choice of stamp set for this card, I love the ships log stamp particularly so I inked it up in Crumb Cake, off stamped then stamped onto Very Vanilla Cardstock. 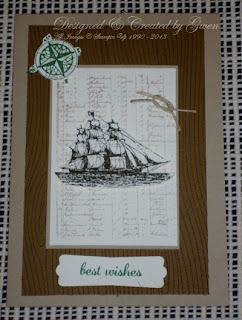 The Ship I stamped in Early Espresso, then cut it out and it was put on the card using dimensionals. The compass and the sentiment are in Garden Green. I used some hemp twine and tied a knot and attached this with a Glue Dot, the sentiment was punched out using the Modern Label Punch and attached straight onto the card front. I do hope that you will play along with us for this challenge, you have two weeks to get your entry in, and who knows you might just be our next Ray of Sunshine! Till next time, happy stamping. What a wonderful male card. I don't think you can go wrong with this set. Also I love the touch of Garden Green, probably wouldn't think to use that colour but it looks gorgeous. You and Kris must have been on the same wave length. 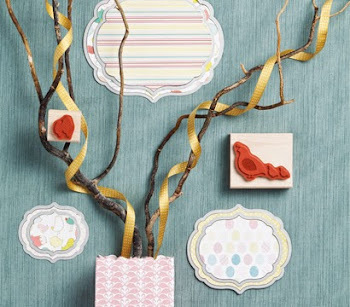 Love what you did with your card . Very masculine. Love the way you have used this set to create a great male's card Gwen. The touch of Garden Green genius!